Words to live by: Choose a job you love, and you will never work a day in your life. Joke: Why did the invisible man turn down the job offer? Because he couldn’t see himself doing it. Anything else we should know? I’ve lived in quite a few states growing up as my father was a pastor… six states to be exact, with another country added to the mix when I was a corpsman in the U.S. Navy. Two more states moving for work until I was brought home to Arizona in 2005 when we first moved to Maricopa. 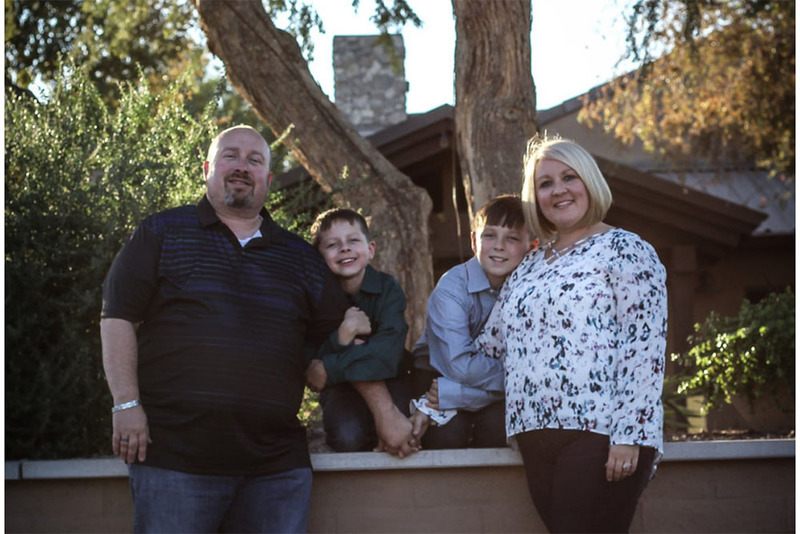 My family and I have lived in three different communities in Maricopa since 2005 and have relocated family members from Arkansas, Georgia and Payson and can’t wait for more of our family to join us in helping our community grow. I’ve also helped support my wife’s home business that we run right here out of Maricopa. I’m known as the husband to the “Crazy Cranberry Salsa lady.” If you don’t see me around town making deliveries for her, watch for me around town at Copper Sky where both of my sons play soccer.